It's always a hive of activity in the Bluesfest office in the last few months before a plethora of artists descend upon Byron Bay, but this day was particularly busy. Pop star Kesha had formally announced she was no longer able to travel and perform her latest tour - which included a performance at Byron Bay's award-winning Bluesfest festival - due to a knee injury. "These things happen," says Bluesfest's Publicity Manager Jennifer Morris, in a phone call the morning after. "It's part of presenting. We work in 'people'. People hurt themselves and get sick and you have to roll with it.... it's not something we enjoy dealing with, but it happens. We just go on with it." This type of professionalism is common and comes as no surprise to the founder of Bluesfest Peter Noble OAM. "Their professionalism and capabilities never cease to impress me," he says in an email, describing what it is like to work with a team that sees one man to every three women who work in the busy office. The festival used to be known as the East Coast International Blues & Roots Music Festival, and was founded by Keven and Karin Oxford in 1990, but is now run by Noble. "Bluesfest has always had some amazing women on the team," says Noble. And yet the festival never set itself up to be a team - or have an artist roster, for that matter - that was deliberately trying to go about championing women. "We didn’t go out to discriminate against the guys, which I guess [is what] you might think when you see we are on a three to one ratio in the office. Even our site managers are two amazing people....one guy and one gal. And they are BOTH amazing," writes Noble. While Bluesfest employs mainly women, this year's bill is also filled with many women including Melissa Etheridge, Lauryn Hill, Sheryl Crow, Tash Sultana, and, until late last month, Kesha. And while it is Noble who does the bookings, the staff certainly add their insights and knowledge to the acts that are confirmed each year. "Peter programs the festival... and it is one of those things where sometimes, depending on who it is and what is happening, we'll all have a chat about it together. We'll talk about different artists and we'll talk about what we think of them and who we think would be a good new voice," says Morris. Take contracts manager Alexis Groen, for instance. "She is a Prince fanatic. We're currently touring and presenting New Power Generation at the festival, and touring them to Melbourne and Sydney so it's been really cool to talk to her about the best kind of songs and the people in the band.... If Peter has a question about an artist in that funk/reggae genre, he will get feedback from her," says Morris. Noble approaches Morris herself for hip-hop and rap advice. "Peter himself is a music lover so he presents on who is available and who he is listening to at the time. It's not something we really intentionally look at. It's just something that naturally happens." The Bluesfest team are always aiming to think outside the square with the artists they want at the festival each Easter. The Kesha booking received raised eyebrows from some, but music buffs understood. "A lot of people got it... especially people in the media who understood her latest album and were familiar with it. They thought it was inspired for Peter to choose her, and then there were people who only knew her older work and didn't get why we would present her. We got mixed feedback from people, but it's still something that, as an organisation, we were really proud [of] and something we stood by." While the team went about handling Kesha's announcement with the greatest of professionalism, it was something they found hard to do. "We are super disappointed. We were really looking forward to her show and obviously to see her in this festival context would be really interesting," Morris laments. So does an office brimming with women make a difference to workplace culture? "A lot of the women who are here have been here for a really long time - over ten years. It's always been a pretty female office. And it's a really lovely supportive team environment. The work that we do a lot of the time is very high pressure and stressful and it's quite demanding. We're a very small team who pull off huge things - this massive festival and up to thirty tours at the same time every year. I think having this lovely supportive female vibe around us does help to get things done," says Morris. Noble adds, "We have truly inspiring women who are taking our company to another level, leading in the touring, publicity, socials, travel, contract, finances, accounts and sponsorship areas... it’s a great vibe. I also love working on Boomerang (our First Nations focussed festival within a festival) with the amazing Rhoda Roberts each year. "If you look further, it is women who head up many teams at Bluesfest when the event becomes operational…from stalls, to recycling, volunteers to merchandising. Bluesfest really does run on girl power and we continue to be in awe of, and thankful for their crucial contributions of our incredibly passionate team. I take pride in seeing empowerment in the workplace. As a bonus, they are pretty good at kicking the guys' butts here and keeping us focused on producing." Before Noble heads back to his busy week, he signs off, "Simply: it works." 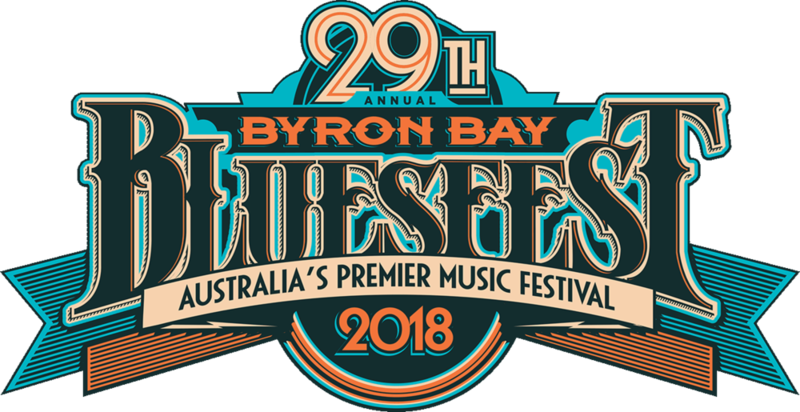 Bluesfest is held 29 March to 2 April in Byron Bay. More info and tickets here.